Katherine (Jackson) Husband, age 87, of Newnan, passed away on Saturday, January 26, 2019. She was born on June 7, 1931, in Round Oak, GA, to Millard and Minnie (Green) Jackson. She was preceded in death by her husband, Herb Husband. 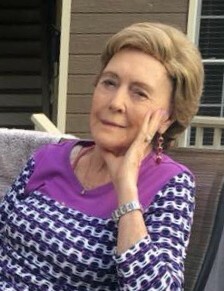 She is survived by: her daughter, Kathy Lewis and her husband, Arthur, of Newnan; two grandchildren, Trent and Ryan; and three great grandchildren, Lia, Georgia and Annabelle. A memorial service will be held at 2:00 PM on Wednesday, January 30, 2019, at 115 Cabin Road in Newnan.